Mark Strong is in talks to play Dr. Sivana in the forthcoming Shazam! movie, THR reports. Strong is considered by many fans to be a bright spot in the disappointing Green Lantern feature film, in which he played Sinestro, and had been expected to be the villain of that franchise's second movie, had the first not bombed. Thaddeus Sivana has traditionally been depicted as a diminutive man in the traditional mad scientist vein, complete with thick glasses and white lab coat. He was heavily featured in 52 before serving as a foil to Shazam in the backup features Geoff Johns and Gary Frank did for Justice League during The New 52 publishing era from 2011 to 2016. In that version of the character -- notable because the film's director has repeatedly cited the Johns/Frank run as an inspiration -- Sivana believed that science had "failed" him after the death of his family and turned to magic. More specifically, he turned to the magic of Black Adam, resulting in a disfiguring injury when the lightning caught Sivana's eye. When the partnership between Black Adam and Sivana fell through, the good doctor was approached by Mr. Mind, with whom Sivana has often been associated over the years. Mr. Mind is an evil, telepathic worm from Venus who served as a major antagonist to Shazam for years in spite of his tiny size. In 52, Sivana attempted to alter history by taking over the time-traveling robot Skeets (partner to Booster Gold and Rip Hunter). 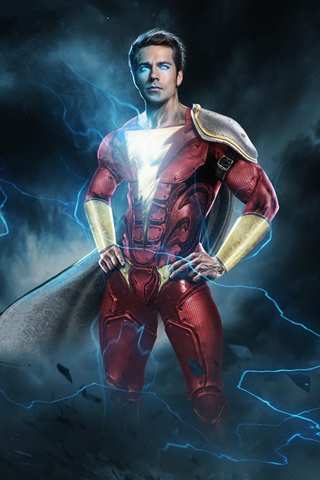 David F. Sandberg will direct Shazam!, which will star Zachary Levi as the title hero -- or at least his adult form, since Billy Batson in the comics is a schoolboy who transforms into his superhero identity when he calls upon magical lightning to transform him. In the world of Sandberg's movie, Dwayne "The Rock" Johnson will portray Black Adam, although he is not expected to appear in Shazam!. Johnson has identified his Black Adam not as a villain but an antihero, and the character has his own movie in development. Shazam! is expected to go into production soon for release in April 2019. 'Gotham' Recap With Spoilers - "They Did What?"